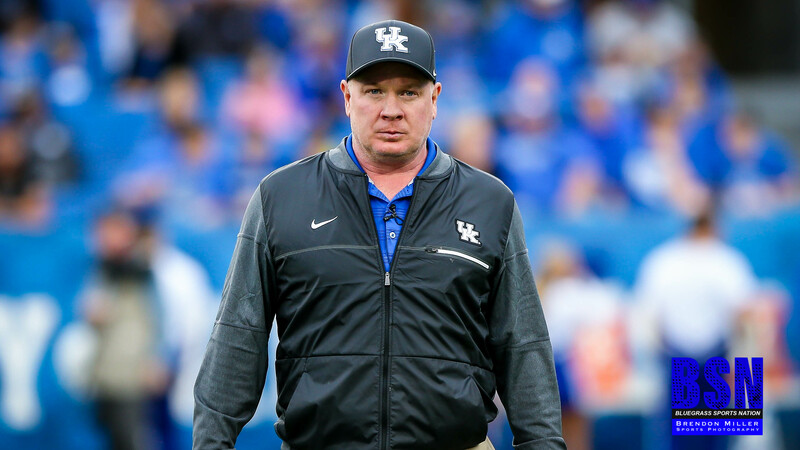 The annual Blue/White Spring Game took place at Kroger Field giving the Big Blue Nation their first look at the 2019 Kentucky Football team. It was obvious at the beginning of the game that the Blue team was loaded with the starters and the White team with the second string players. Comparing the results of the 64 to 10 win for the Blue team is somewhat pointless, however, it does give us some good insight of positions and players. The Spring game gave an unusual look at three different quarterbacks in a single game. Terry Wilson, who didn’t play much of the second half, passed for an amazing 10 for 12 and ended with 191 yards. Gunnar Hoak started the game playing for the white team, but took over for Wilson when he went out in the second half. He had 262 total yards on 23 of 30 completions. We also got a glance at Walker Wood who passed for 19 yards and gave up an interception. Both Wilson and Hoak looked good on ball placement on the long throws. Hopefully, this carries over when the season starts in the Fall. On the first drive of the game it was the Lynn Bowden show. Bowden was the only receiver that Wilson targeted on the first drive. Bowden ended the first drive on a 42 yard catch for a touchdown. After that drive other receivers shined. Especially Isaiah Epps, who caught a 60 yard pass from Wilson that gave him the longest reception of the game. Epps was also the leading receiver with 97 yards. Tight end Justin Rigg picked up where C.J. Conrad left off. Rigg had 3 catches for 40 yards and a touchdown. The BBN wanted to see more looks to the tight end last year and they will continue to do so if Rigg does this well in the fall. Going by the stats in the Spring Scrimmage it looks as though, as we expected, A.J. 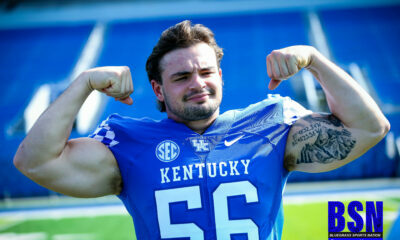 Rose will be the starting running back for the Wildcats. Rose had 11 carries, gained 86 yards, and had 3 rushing touchdowns. Red-shirt Freshman, Kavosiey Smoke, was the most exciting player to watch tonight. He had a 87 yard touchdown run and gained 132 total yards on only five carries. Replacing Benny Snell is not a easy thing to do, but this group of running backs looks to have the skills to make a good attempt at it. Stoops wasn’t happy with the 64 total points that the White team gave up, but jokingly at the end of the press conference said at least we scored a lot.